At the end of 2014 I ventured over to Liverpool for my annual Christmas catch up with two of my friends who still teach abroad. We always have the same problems when trying to decide where to eat: one vegan, one who lives in Thailand and wants a break from Asian food and another who lives in Italy and wouldn’t suffer a British pizza. So for our last two meetups, we went to The Egg, a famous veggie cafe in the city centre. The Egg has rather a pretty entrance: up a rickety flight of stairs, all purple and painted with leaves. The cafe itself feels quite cosy, thanks to its rustic wooden tables, but is actually pretty large, and on the day we went it was so full they actually had to start turning people away. The first time we went I had a spicy veggie burger, which was very tasty and quite a hearty size (exactly what I want in a burger). This time, as we had some pretty serious catching up to do, we settled in for the set menu: soup, a main, a cake and a brew, all for about £10. 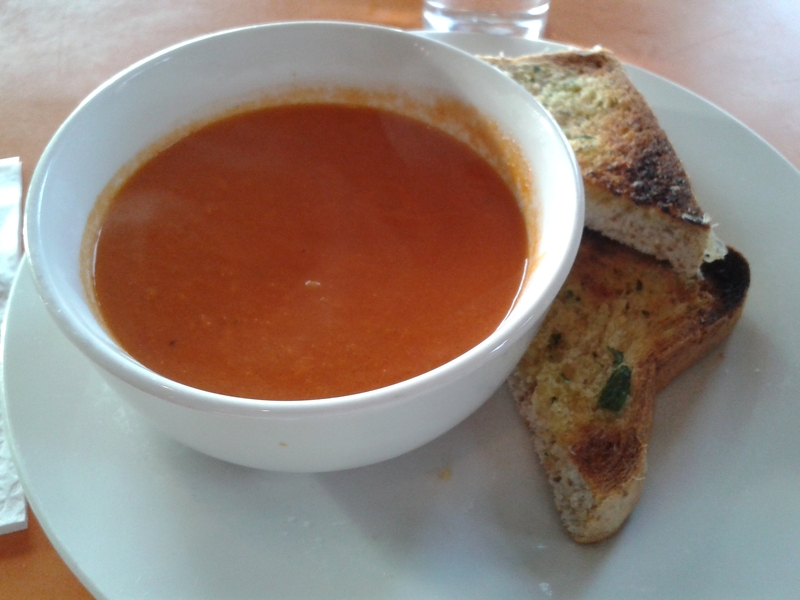 We kicked off with a tomato and fennel soup, which was nice but a touch too bland – a bit more fennel or seasoning would have really made a difference. However, the garlic bread on the side was top notch – really thick slices of bread and they don’t skimp on the garlic. 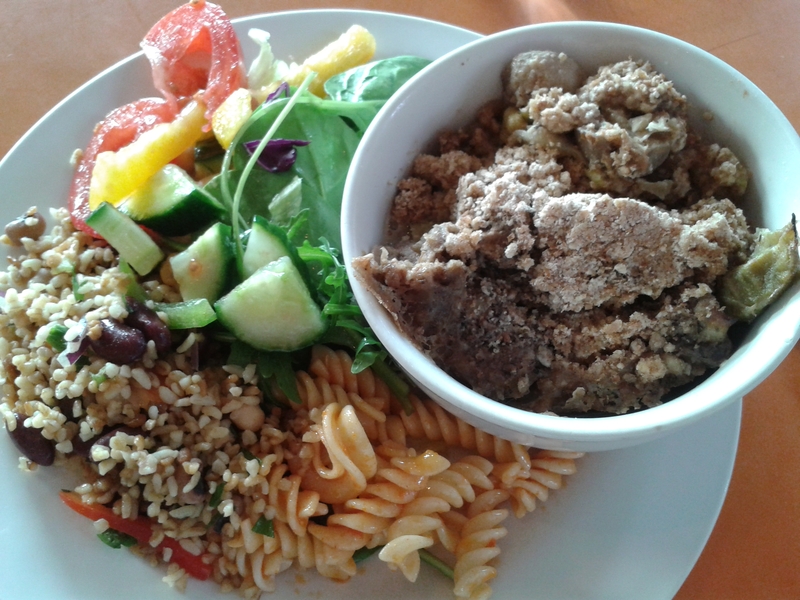 For my main course I had a few vegan options to choose from (all clearly marked on the menu board behind the counter) and went for the suitably wintry leek and mushroom crumble. I like a savoury crumble almost as much as a sweet one, and this was really nice and filling. Again though, a touch more seasoning would have been lovely. And once more, the side dish was the real highlight: the accompanying salads were excellent and definitely filled me up. We had a wee breather before embarking on dessert (mostly because the queue was almost out the door). 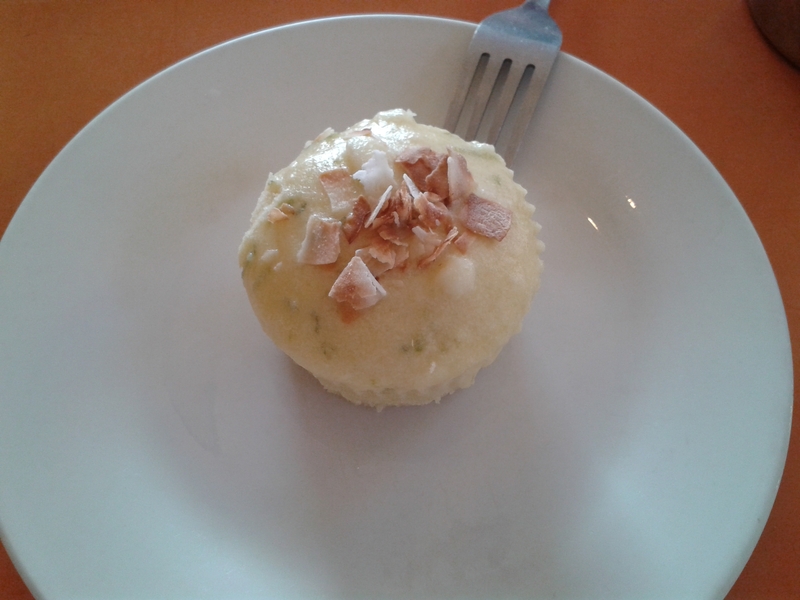 There are always a couple of vegan cakes, and this time I choose the lime and coconut cupcake. It was tropical and had lots of icing, and I would have raved about it…were it not dwarfed by my friend’s gigantic bowl of apple crumble and custard (vegan option available). Perhaps I chose poorly this time. Nevertheless, I am counting down to my next trip for some good grub with my favourite Liverpudlians! This entry was posted in General, Travel and tagged The Egg, vegan Liverpool. Bookmark the permalink.